At Indus World School, we follow the OTAC (i.e. Object, Task, Analysis, and Classification) as the four step approach to import learning. Object (Vastu): An object or idea is presented to fuel a child’s curiosity. 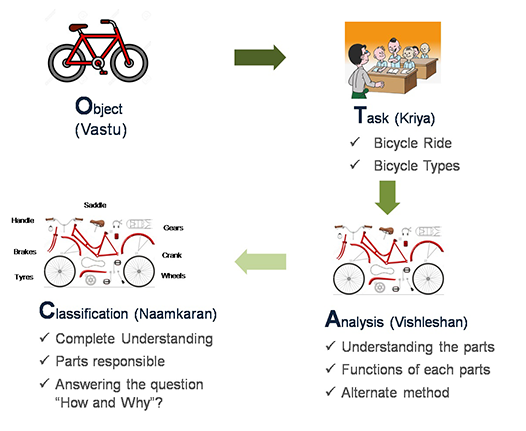 Task (Kriya): A task is presented to explore the concept being explored. Analysis (Vishleshan): Analyses of what was observed and done follows. Questioning, sharing and reflection are done individually and in groups. Classification (Naamakaran): Making sense of new information, names are finally attached to phenomenon that was observed and experienced.